DJ Enferno has made a name for himself as Madonna’s DJ, but he’s also an accomplished producer and the 2003 U.S. champion of the DMC World DJ Championships. He definitely knows a thing or two about scratching, and has made a career out of tastefully merging elements of turntablism into his sets. How did winning the U.S. championship in 2003 affect your career? E: Winning the DMC title was a dream come true for me as a turntablist and as a DJ. After that, I started getting my first bookings to perform outside of my own city, Washington, D.C. That was a big step for me. But to be honest, most people in the club world aren’t familiar with the DMC. I’ve had to keep pushing the envelope creatively with my music and my Live Remix Project, which is the primary reason for my success today. What role should scratching play as part of a live set? How often do you do it? E: Scratching isn’t necessary to be a good DJ. Remember, DJing and turntablism aren’t the same thing. 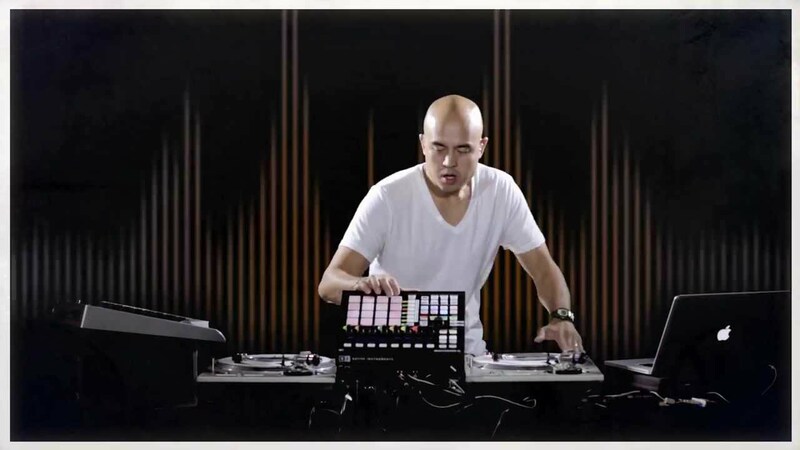 Scratching goes along with turntablism, which is performing with turntables as instruments. DJing is the art of entertaining a crowd through song selection. During my DJ sets, I only scratch a little bit, depending on what type of venue I’m performing in. If the crowd is watching and wants to be entertained, then I’ll scratch more. It’s really important not to overdo it. When people want to dance, they usually don’t want to hear someone scratching all night. Now, if I’m performing my Live Remix sets, then that’s a different story. Those are completely performance-based, where I play and sample keyboards and turntables to create music. Scratching during a Live Remix set is a must. After I get a feel for the crowd—and if they’re into it— I definitely show off a little. Scratching was one of the pillars of the hip-hop movement. Some of the young guys coming up today have a sense that it’s an old-school technique. Does it work well with digital DJing? E: I think it works great in the digital DJ world, if the DJ is good at it and has the discipline and the experience to do it at the right time. Just about all the big scratch DJs that I used to look up to (and still do actually), like Craze and A-Trak, all use digital DJ systems. What’s the best way to learn scratching? What do you recommend? E: The best way is to make friends with someone who knows how to scratch and have that person teach you. Most people don’t have this option. I recommend going on YouTube and searching for tutorials. There are tons of them there that I wish I had access to when I was learning. If you really want in-depth training, you can even sign up for DJ Q-Bert’s Skratch University. You never know who’s in the audience, right? We heard that Madonna’s music director discovered you by going to your gig. E: Yeah, Kevin Antunes saw me at a gig in his hometown, Orlando. I was performing an all- Live Remix set, and he tracked me down and called me the next day to talk about the tour and see whether I was interested in being considered. You can imagine my answer to that question. What’s it like to work as a DJ on stage with a live band? E: It’s definitely a different experience than working the usual nightclub circuit. I play a part in a show to support the artist, as opposed to being the featured performer. The audiences were huge, and the shows were frequent. Traveling to so many different cities in a short period of time sometimes left me wondering what city I was in when I woke up in the morning. I loved being around so many talented people, and I think I grew as an artist and performer by being in such a group. I’ll never forget the first big show and being in front of 50,000 people.